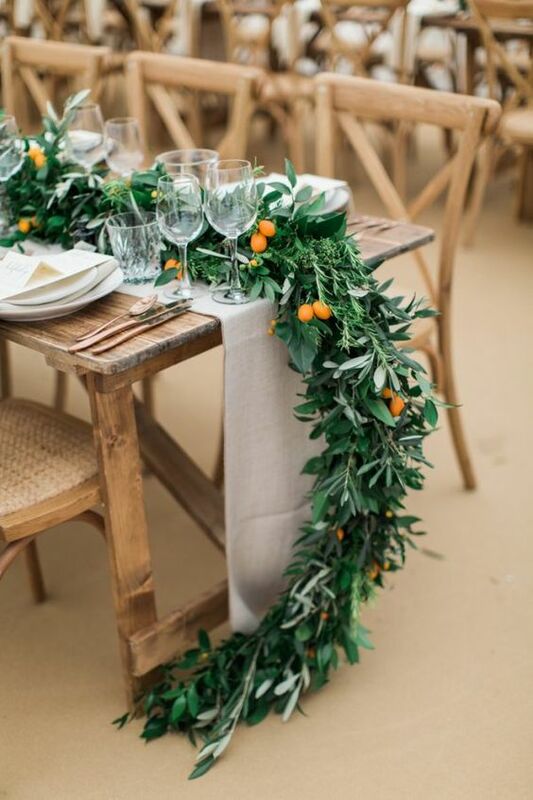 Big news - citrus is in for 2019 brides and our St Clements collection could be the perfect stationery suit for you with it’s earthy yet vibrant style. For this look, you need to keep all colour to a minimum, other than the oranges. Stick to whites, pale greys, kraft, burlap and wood. 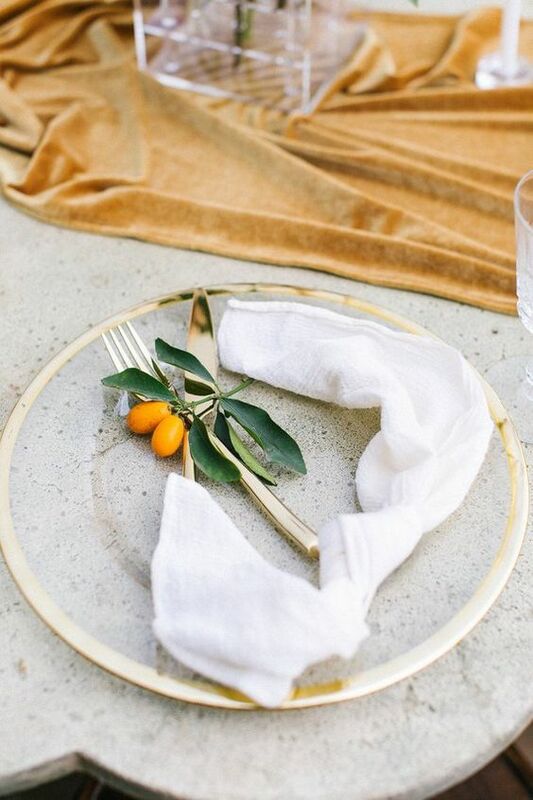 You can use textures to add more depth with linen tablecloths, muslin napkins and bamboo or wicker placemats. As always, I’d check that the fabrics that you buy are from a sustainable and organic source where possible. You’ll then want to fill the room with any and all types of oranges that you can get your hands on. A few delicious varieties include blood oranges, navel oranges, mandarins, tangerines, cementines and kumquats. The different sizes, shapes and colours within the orange family will add some real character to your decor - and imagine the aroma! 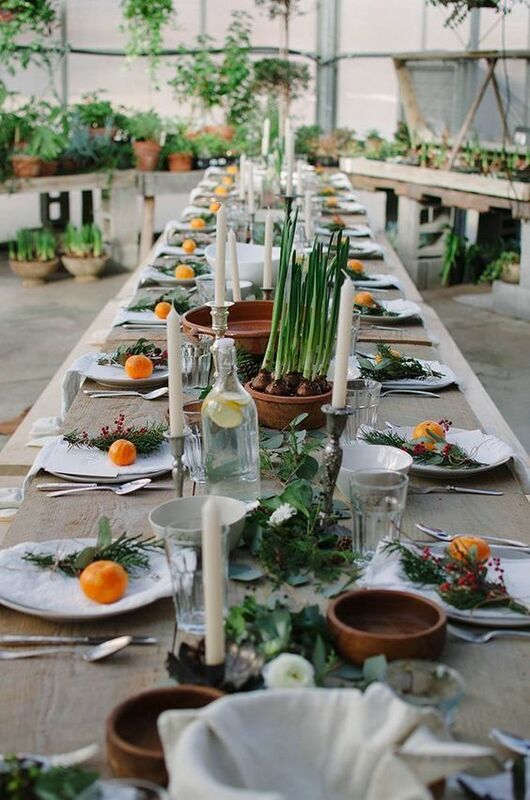 Load ‘em up…on the tables, on the plates, in the drinks, as your table centres, in your bouquet, the list goes on. 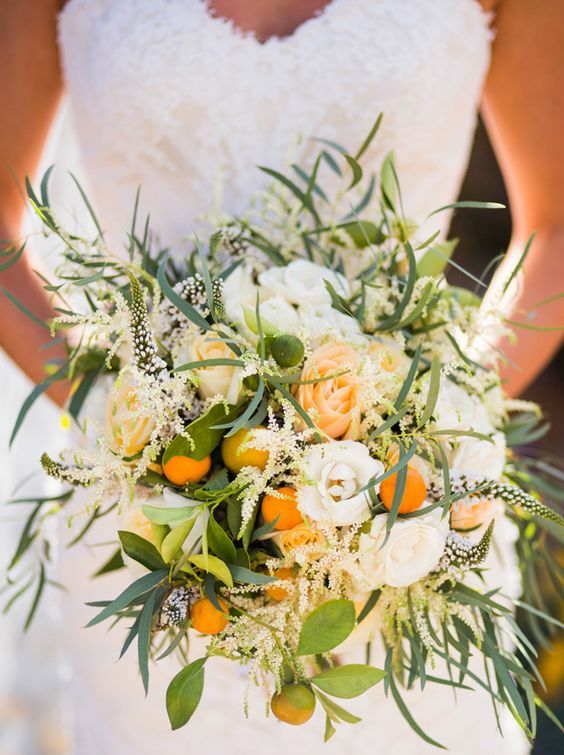 Any sort of white flower and greenery will suit this look and you’ll always be able to ask your florist for the perfect floral pairing.